Blue and Golds Archives | HU17.net – It’s all about Beverley! Beverley ARLFC suffered their first defeat at home in over a year as they lost to Crosfields. For some time the Beverley Leisure Centre has been a fortress for Beverley. This game saw the blue and golds somewhat out-muscled by a physically bigger and more experienced outfit from Warrington. Clock Face Miners earned their first points of the season and they defeated Beverley ARLFC 44-28 in the National Conference League. 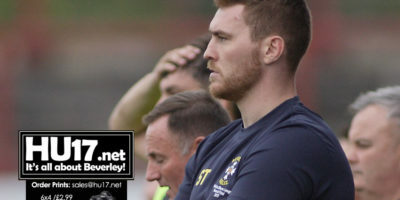 Head coach Scott Taylor was disappointed with this latest defeat which sees the blue and golds still without a win on the road. The blue and golds kick-started their season with this win which was harder work than the scoreline suggests. Barrow Island arrived in town looking to extend a seven-game winning run stretching back to last July but the hosts had other ideas. Barrow looked to blow the opposition away very early on and raced to an 18-0 lead in only 11 minutes. Jack Howdle forced his way over from close range quickly followed by a try from dummy half by Tom Moor. 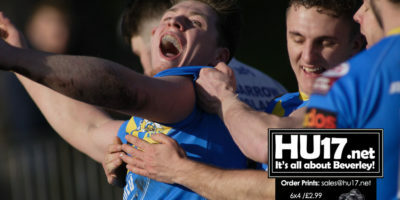 The blue and golds were denied by an injury time drop-goal in his thrilling local derby against Hull Dockers on the opening day of the new season. Last seasons NCL Division two champions were left to rue a number of handling errors as they were beaten 19-18. The blue and golds make the short trip to face Hull Dockers this Saturday for their first game in NCL Division 2. Following on from the Challenge Cup defeat at York Acorn back in late January, pre-season has gone well for Scott Taylor’s men. 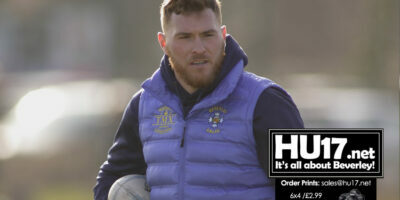 This victory in a pre-season friendly against higher ranked opposition should prove a huge morale booster for Scott Taylor’s men ahead of the start of the campaign in March. Beverley brought a strong squad of 19 along to Marist including a recalled Alex Starling out of retirement. Beverley ARLC were dumped out of the Challenge Cup as they were well beaten on the road by 42-4 by York Acorn. For Beverley, this was always going to be a big ask and certainly a major task as their first competitive game of the new season. Beverley ARLC will face an away trip to York Acorn in the first round of the Challenge Cup. Held at Emerald Headingley, officials from joined their counterparts for the draw of the sports prestigious competition. Beverley ARLC will shortly be back training as Scott Taylor and his side prepare for the new season. The Blue and Golds will be looking to build on last year’s success. It was a season that saw them crowned National Conference League Champions. 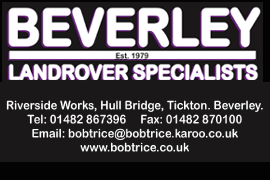 Pat Howdle has stepped down as Director of Rugby at Beverley ARLC bringing the end to a four-year spell with the club. News of his departure was issued by the club who expressed their most sincere thanks. 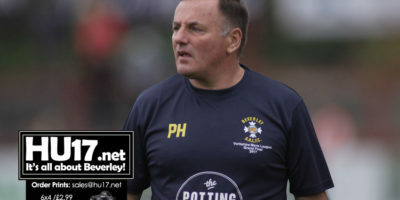 Howdle took charge at the club in the summer of 2014. During that time the club has developed rapidly and has even played live on TV. The blue and golds signed off the 2018 season with a performance worthy of their title status, attempting to give the ball plenty of air at every opportunity. In recognition of their title win the home side sportingly applauded them onto the field and were also very welcoming hosts afterwards in the clubhouse. The blue and golds will draw the curtain down on their 2018 season this Saturday when they make the trip to face Oldham St Annes. Scott Taylor’s men have already clinched the National Conference League Division 3 title and automatic promotion at the first time of asking. The blue and golds came up against a determined Cumbrian outfit and had to admit that they were second best on the day. 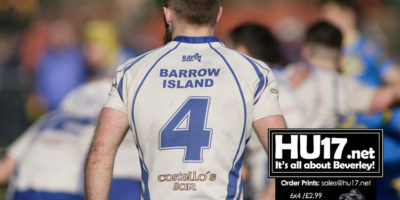 Barrow Island, who head a cluster of clubs looking to secure the second automatic promotion spot to NCL Division 2 and had clearly done their homework for this top of the table clash. NCL Division Three Champions Beverley will hit the road this weekend as they head north to Cumbria to take on Barrow Island. Head Coach Scott Taylor and his side are now looking to complete the season undefeated, and with just four games remaining this is a goal his side believe they can achieve. The blue and golds clinched the NCL division 3 title with four games to spare with a performance that typified their season- ruthless and clinical when they had to be. A big celebration is now planned at next week’s televised game at home to Dewsbury Celtic this coming Saturday.